UPDATE: Maryland's voter registration errors are more widespread than previously thought. Find the latest story here. A Maryland Senate panel will hold a hearing next month into a Motor Vehicle Administration computer error that has resulted in about 18,761 people not being properly registered to vote in this week's primary, a state senator said Sunday. State transportation and elections officials say no eligible voters will be denied the right to vote, though affected voters need to verify their voter registration information using the state elections board website, so they can use provisional ballots on Tuesday. Amelia Chasse, a spokeswoman for the Republican governor, said the problem was caused by a computer glitch discovered on Friday. State elections officials say the problem relates changes to voter addresses and party affiliation made through the MVA's website or kiosks between April 22, 2017 and June 5, 2018. If the changes were made without buying a driver's license, ID card or other item, they were not submitted to the elections board for processing. Linda Lamone, the state elections administrator, said elections officials will send an email to about 17,600 affected voters who have an email address on file with the MVA. Voters are encouraged to verify their voter registration information using the state elections board's voter look-up website. If the website doesn't show the voter's current address, a voter can use the board's polling place locator to find the right voting location for the voter's new address. The address shown in the polling place locator is where the voter should vote on Tuesday. Then, the voter can use the provisional voting process to cast a ballot on Tuesday. Christine Nizer, the MVA administrator, said the MVA and the state elections board are working closely together to correct the issue to make sure it doesn't happen again. 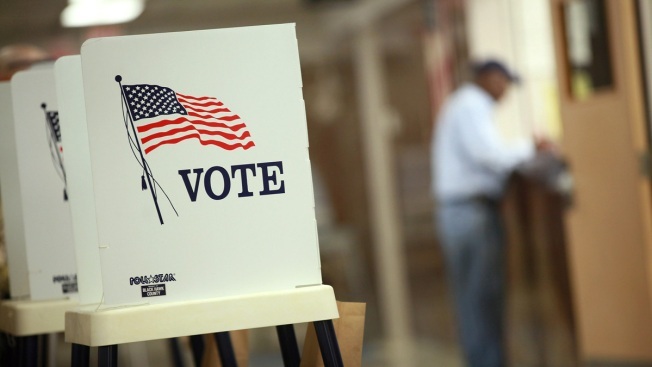 "Individuals who may be impacted should go to the State Board of Elections website, elections.maryland.gov, to verify their voter registration information and, if necessary, determine their correct voting location,'' Nizer said. There are more than half a dozen candidates on the ballot to determine the Democratic challenger who will run against Republican Gov. Larry Hogan this fall. Candidates are also being chosen for the state's eight U.S. House seats and one of Maryland's U.S. Senate seats. All 188 seats in the General Assembly will be decided this year. Attorney General Brian Frosh and Comptroller Peter Franchot are unchallenged in the primary. Their Republican opponents, Craig Wolf and Anjali Phukan, also are unchallenged. A full list of polling places can be found on the board of elections' website here, and sample ballots can be found here.